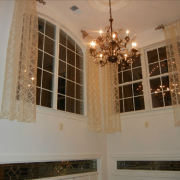 Custom Window Treatments ‘ draperies are tailored specifically for each window and made to reflect your style and preferences. Available in four styles – Pleated, Rod Pocket, Tabbed and Ripplefold, they can be operating Traversing systems or statuesque Stationary panels. 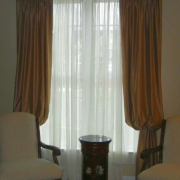 Their elegance is readily magnified by adding a second layer of Sheers, Trims, Decorative Hardware or a complimenting Top Treatment (Valance, Swag, Cornice). 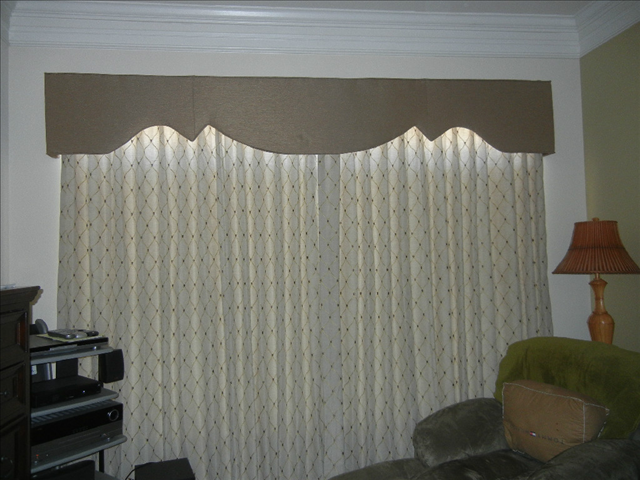 Motorized draperies are the ultimate and perfect for Theater Rooms. 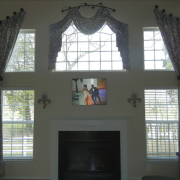 Dress Your Windows has been creating fabulous Custom Window Treatments and Custom Draperies for discerning Clients in Annapolis, Baltimore, Upper Marlboro, Eastern Shore, and Washington DC for over 10 years. 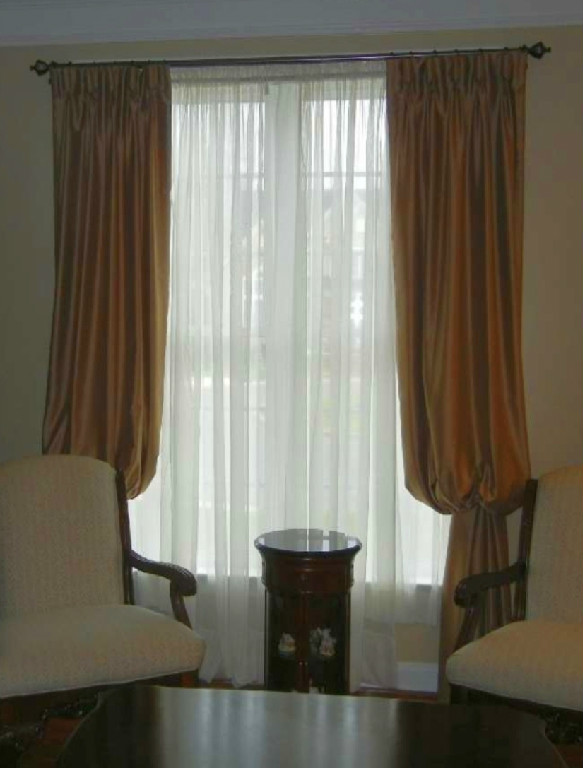 We use valances to create the right ambiance for any room in your home. 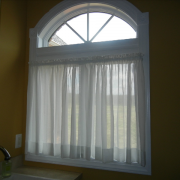 Whether that’s creating a relaxing lounging area or to brighten your kitchen without exposing too much of your activities to the public. 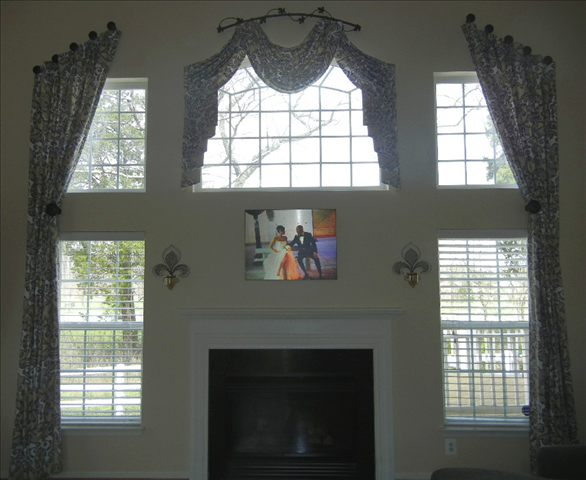 You can create many moods with custom valance window treatments and choose from hundreds of patterns we have available. 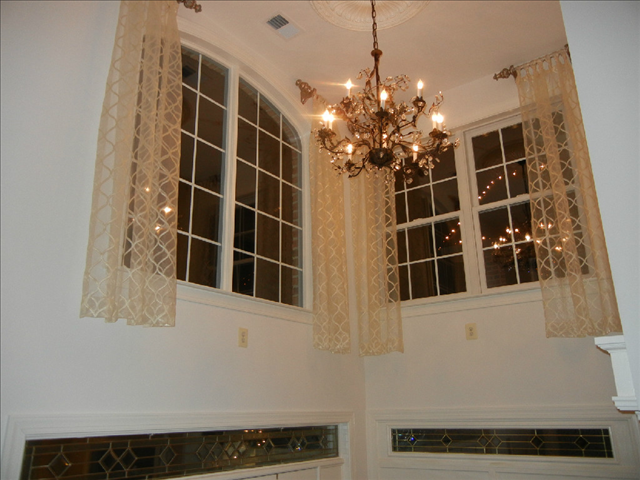 They don’t block out light, hang just below the top of your window and can be customized to fit any style or décor. 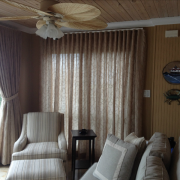 When layering they are perfect along with heavy drapes or sheers. 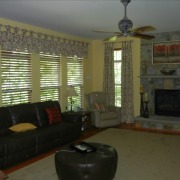 Not only do they create the right ambiance, they are incredibly useful for many other reasons. 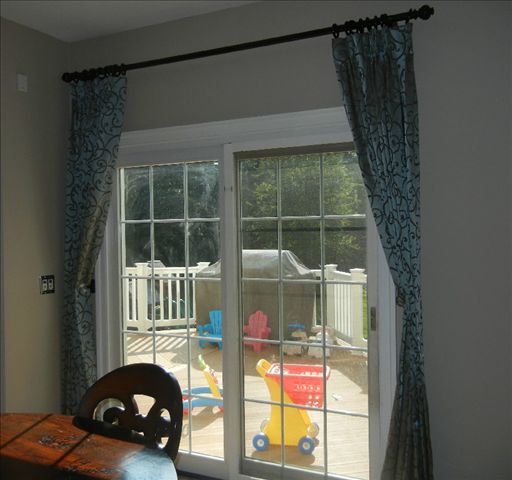 They are great for concealing ugly hardware. 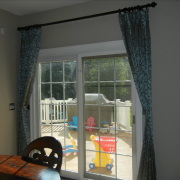 You can still open your curtains without exposing the rod. 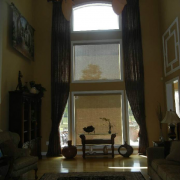 You may love the material of your curtains or the color but the headings may not appeal to you at all. 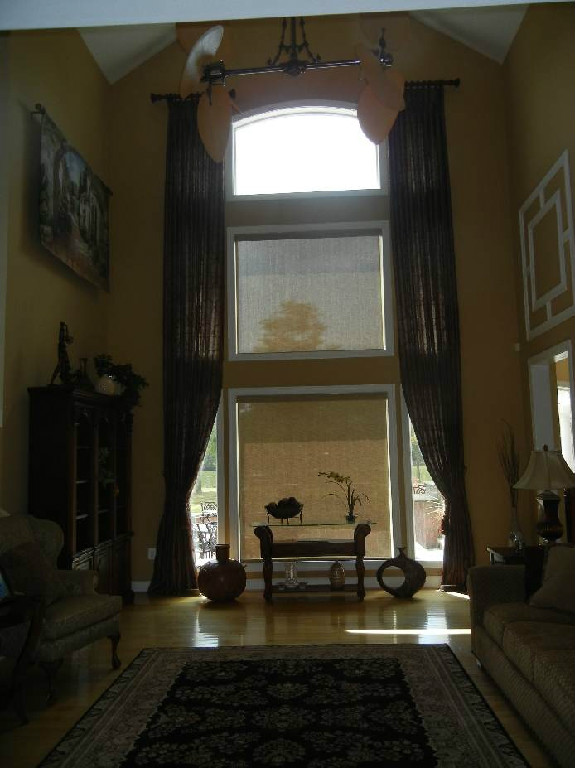 You can get around settling for something else by hiding the headings with a valance. 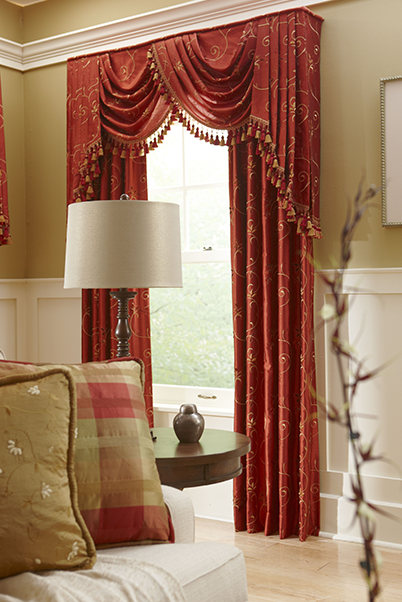 Pick out a similar style and add some real depth to your curtains. 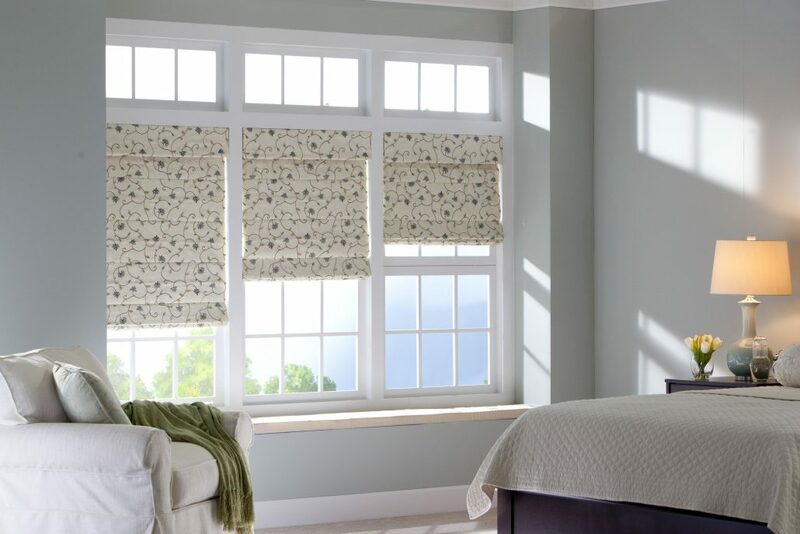 They can spruce up up your blinds. 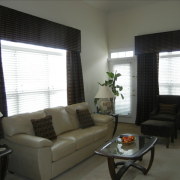 Depending on the type of blinds you have in your room and if they are accompanied by window curtains, valances can do the same for the blinds as they can for the curtain headings and rods. 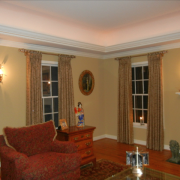 Cornices are the most architectural of all valances are wooden boxes upholstered in fabric. 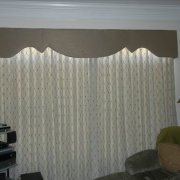 The bottom edge can be cut to any shape and covered in almost any fabric. 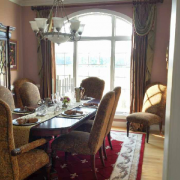 They can be as elaborate as the style of the room dictates. 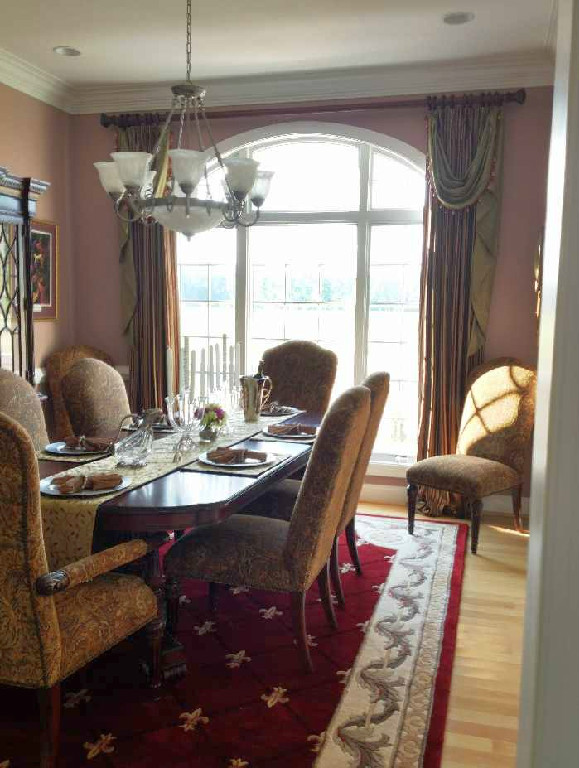 You can add jabots, trim, or decorative items. 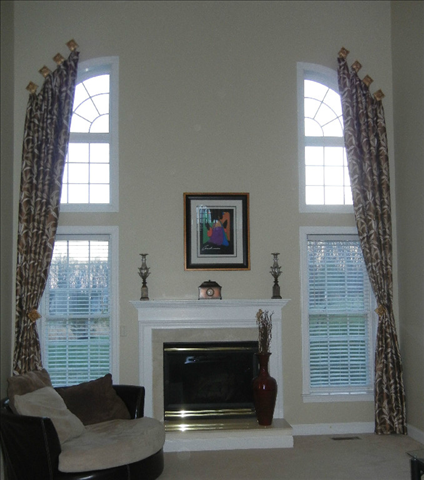 Attach drapery panels to the inside or outside of your cornice for your own unique style. 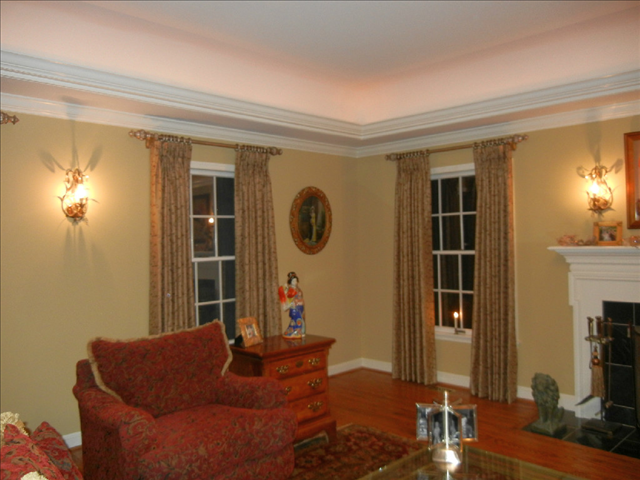 We use cornices where our clients want x or to create a more ____ styled home. 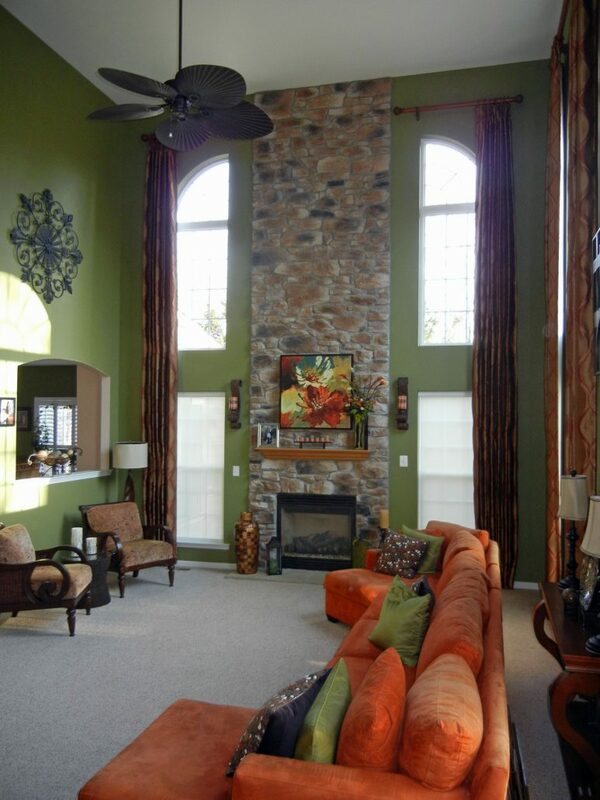 Is this the style you want for you home? 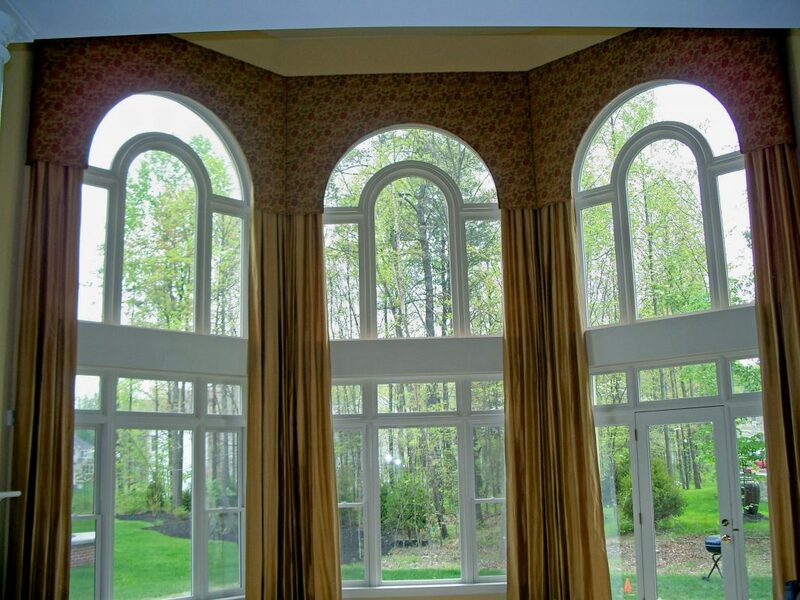 SWAGS…features a soft, curving semicircle centered on the window with cascades hanging down on both sides. 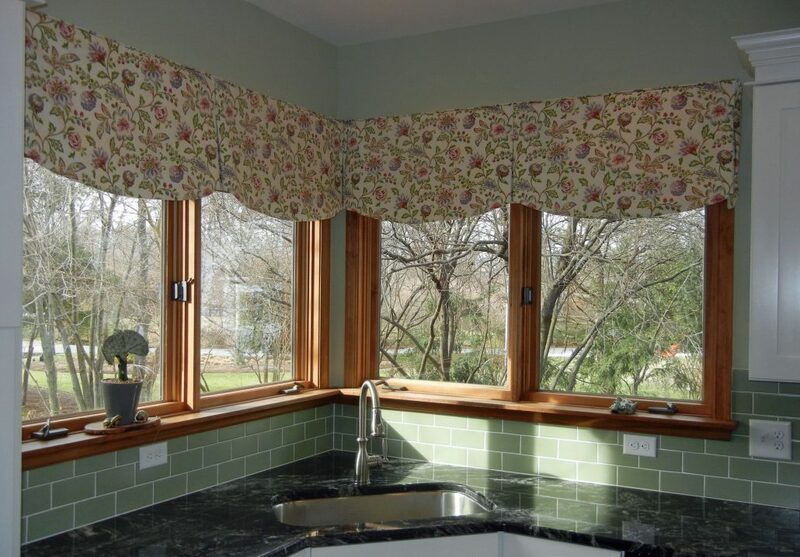 Multiple swags can be used on a window; longer swags can also be used alone as a simple window embellishment. 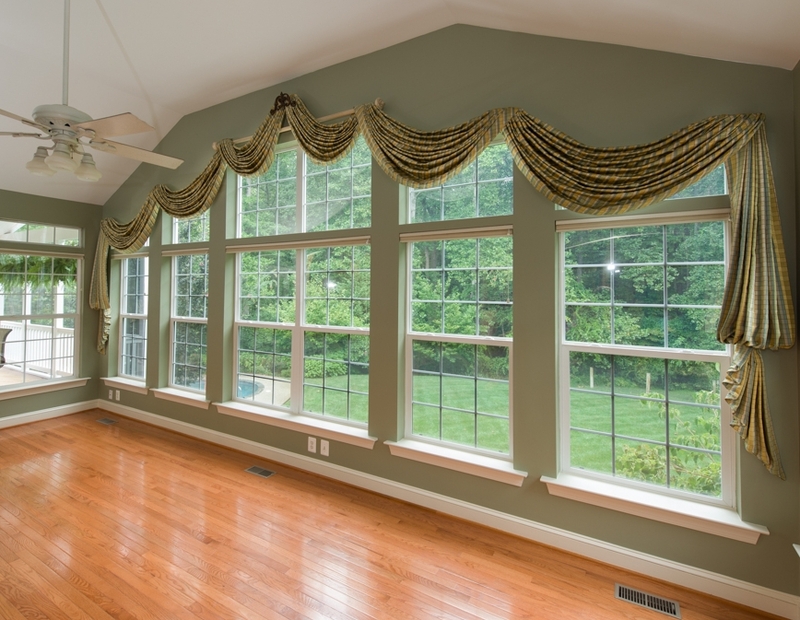 Swags can be made from any fabric and can be trimmed with fringe, lace or tassels. 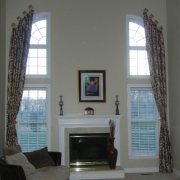 With this ornamental treatment, your windows will come to life. 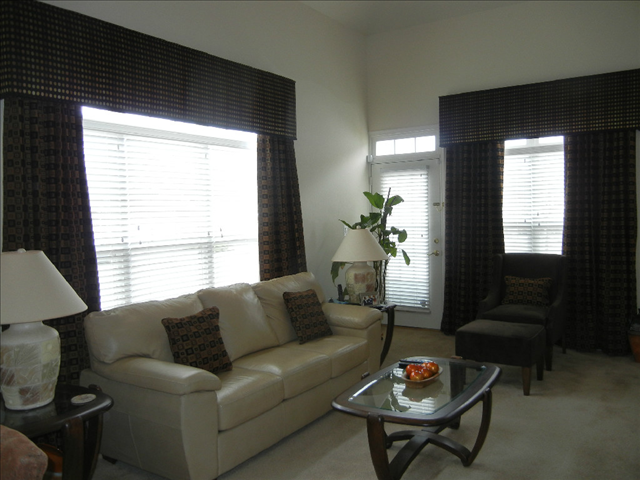 ROMAN SHADES… offer the elegance of fabric with the soft feel of traditional window treatments. 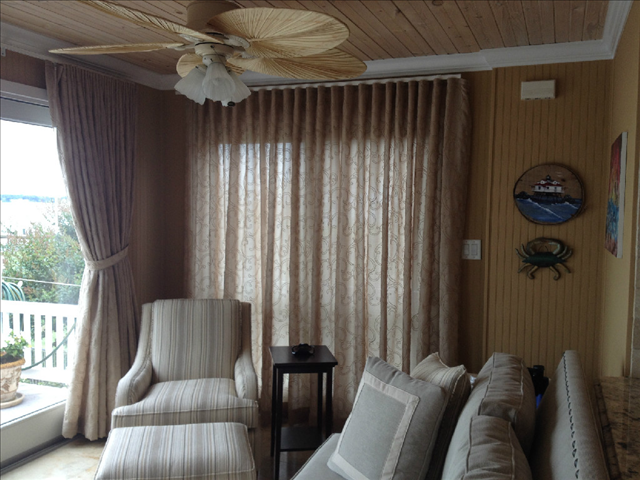 These window treatments offer both privacy and light control while exhibiting the soft appeal of folded fabric. 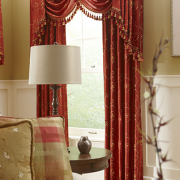 You can add banding, embroidery, trim, fringe and pleats. 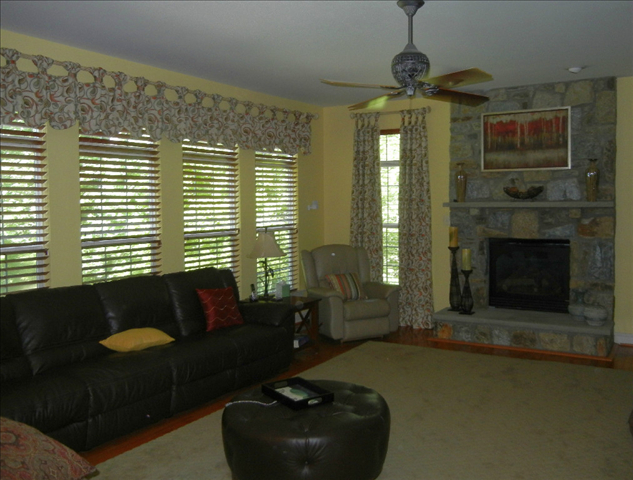 The most popular styles are, Flat Folded, Hobbled and Relaxed. 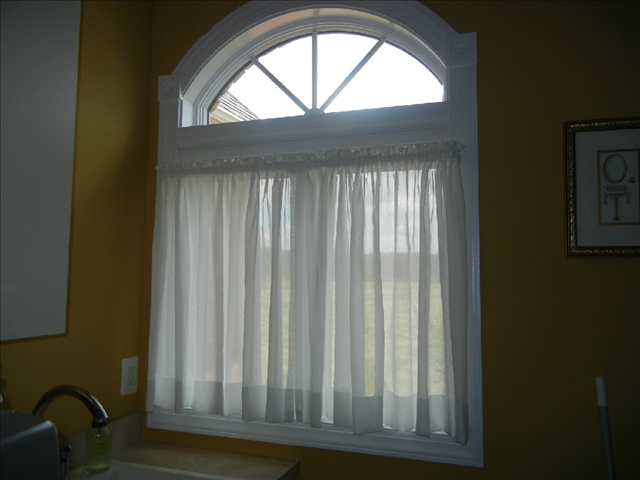 Ready to see how our draperies & valances can turn your home into the envy of the neighborhood?